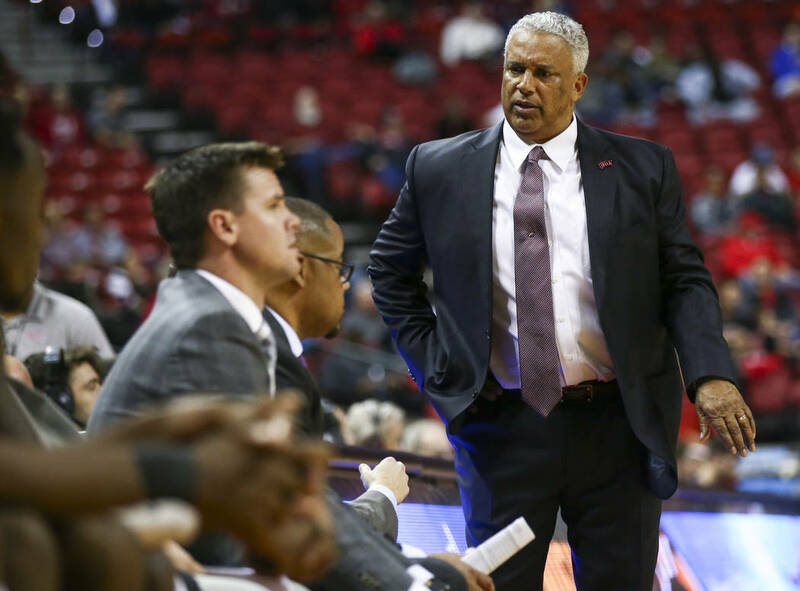 UNLV played better than that forgettable loss to Loyola Marymount, walking away a winner on Tuesday night before an announced gathering of 7,327 at Thomas Mack Center. This was one of those turn-the-page response games. Like, shake the stink of Saturday and move on. How it got there, who was most responsible, the specific plays that made the most difference, wasn’t important. 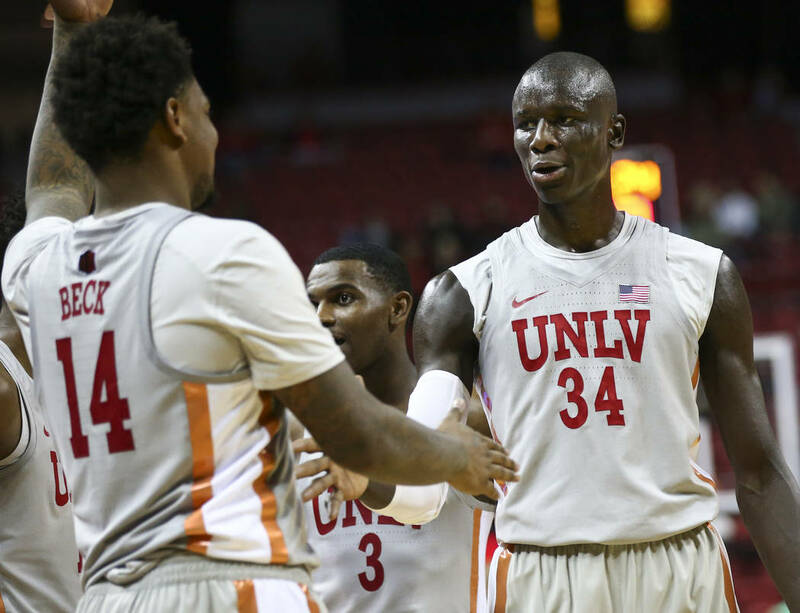 Only that UNLV’s basketball team somehow found success. 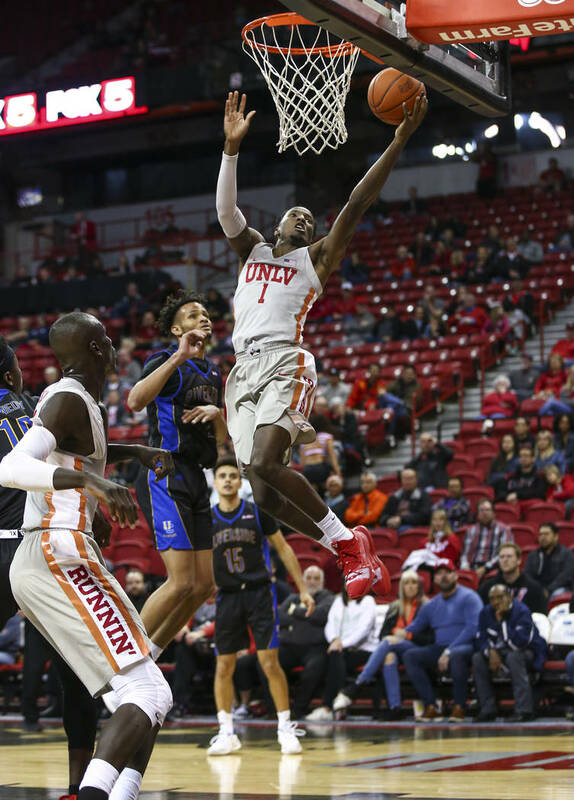 One game doesn’t make a season and it certainly shouldn’t cause a case of citywide panic, but losing to the likes of Loyola Marymount in the manner the Rebels did to open their season sure made Tuesday night more interesting than a game against UC Riverside might normally be. 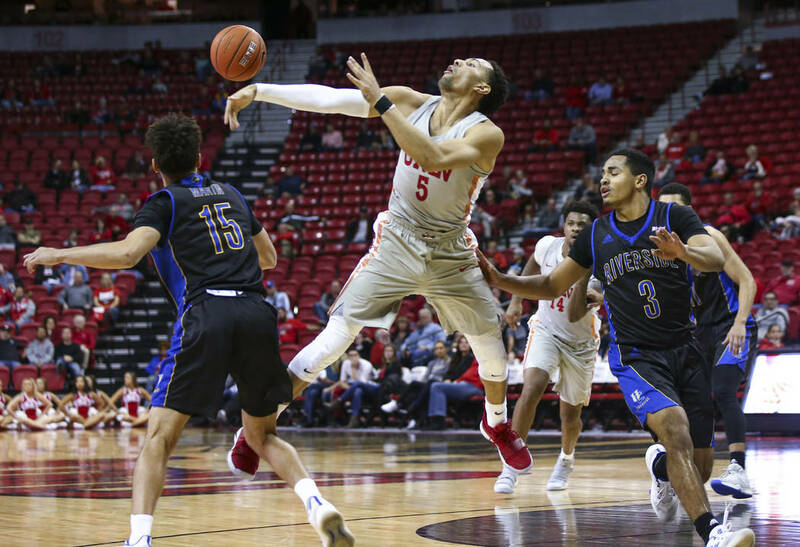 The Rebels played better than that forgettable loss to the Lions and walked away a 72-51 winner before an announced gathering of 7,327 at the Thomas & Mack Center, meaning the sky isn’t completely falling when it comes to the sort of team third-year coach Marvin Menzies has, but it still might be teetering on the edge. 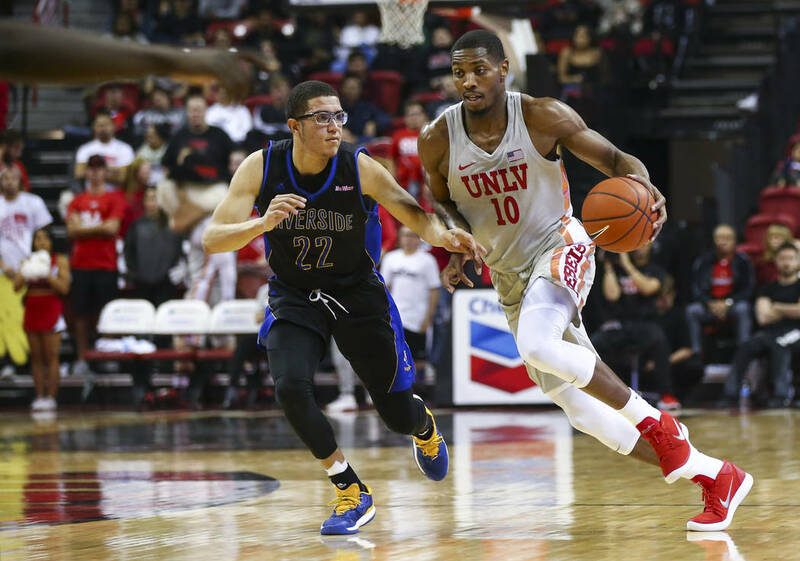 UNLV has had issues in recent years of playing some of its best ball before Santa Claus slides down any chimneys, only to flip the calendar for New Year’s and suddenly regress into a much-lesser product. Good teams are better in January than December. Great teams are far better in February than November. Elite teams are fantastic in March. 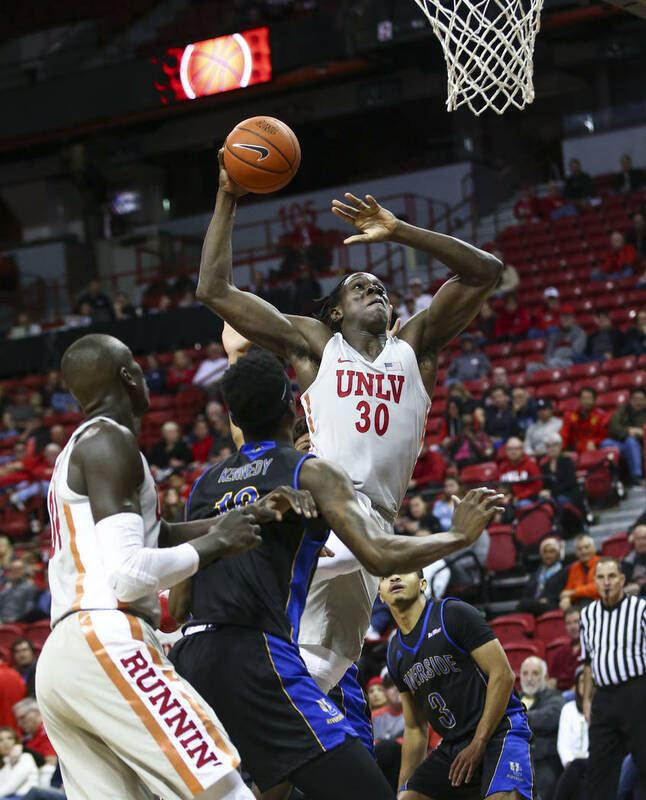 UNLV hasn’t been any of those in some time. Two games into another season, maybe things will go a different way. Maybe the Rebels will be better later than now because, well, it’s pretty rough right now. 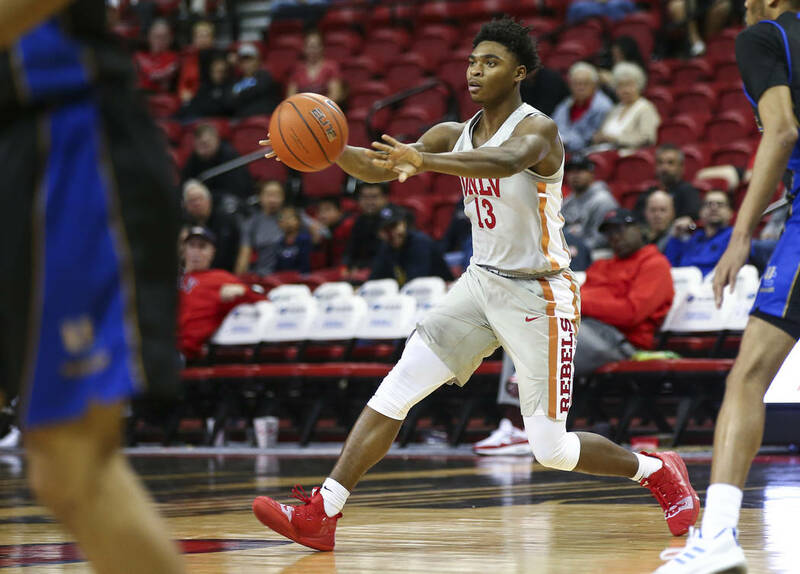 Early returns suggest it’s going to be a struggle scoring as the level of opponent rises, or even against the Loyola Marymounts of the world, which made freshman Bryce Hamilton’s effort on Tuesday all the more significant. He scored a team-high 16 points on 5-of-5 shooting, making all three 3-point attempts over nearly 23 minutes. It makes you wonder: I get it was his first college game and all against LMU and he missed the three shots he took, but how did this kid only get six minutes in the loss? He seems to be one of a very few who can actually score in different ways. “Our plan is to always win the game,” Menzies said. “Whatever players we feel can get us the victory are the guys who will play. (Hamilton) was playing well (Tuesday), so he got more minutes. 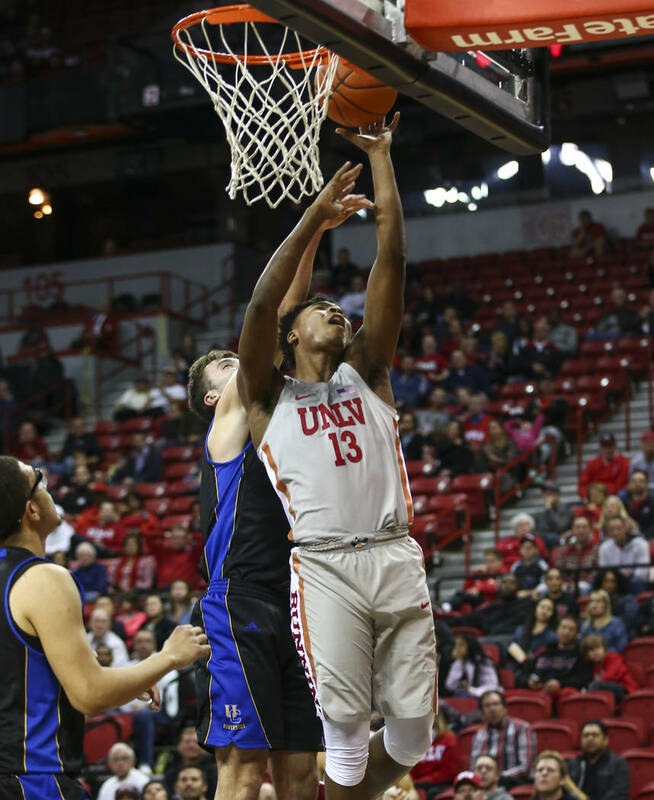 What the Rebels won’t do is beat many decent folks, and certainly not any really good ones, if their three senior starters don’t offer a level of consistent play. 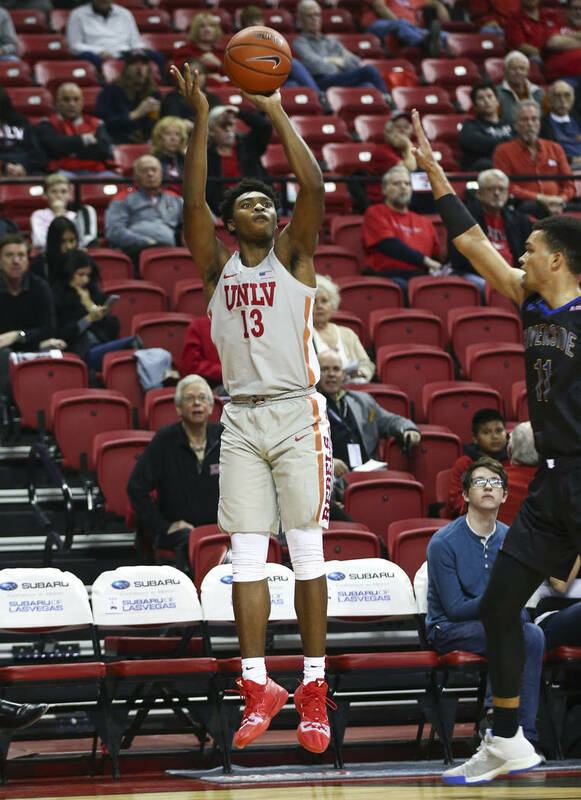 None were good at all against LMU — Noah Robotham, Kris Clyburn and Shakur Juiston were a combined 9-of-28 shooting with 16 turnovers that night — but their production increased Tuesday. The trio cut their turnovers to a total of six and combined for 19 points, nine rebounds, five assists and five steals. They were more solid than great, and yet Robotham is still just 2-of-14 shooting to begin the season. Still, any positive action was going to trump Saturday. 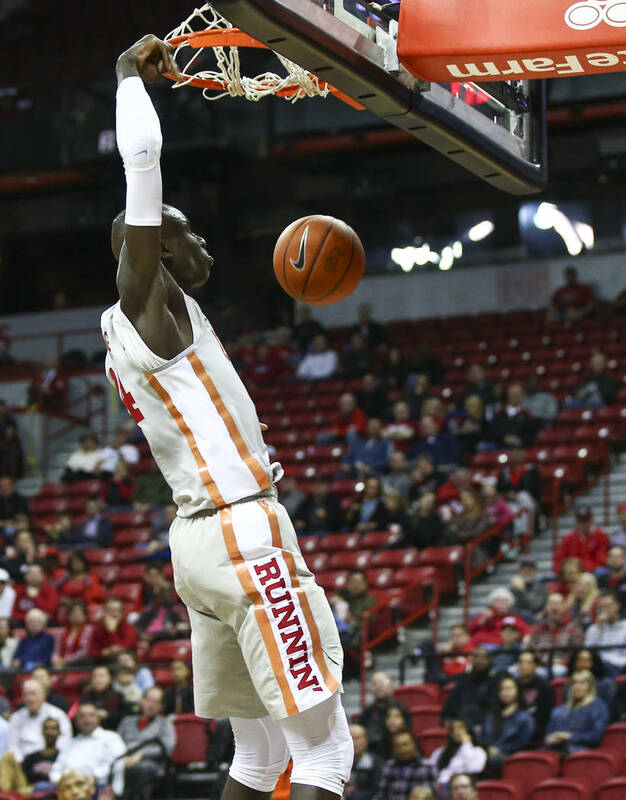 In and around shooting 46 percent and making just 19 of 33 free throws against the not-so-mighty Highlanders, the Rebels did well to clamp down defensively against an overmatched opponent. They never allowed UC Riverside much of anything beyond a few 3-point spurts. 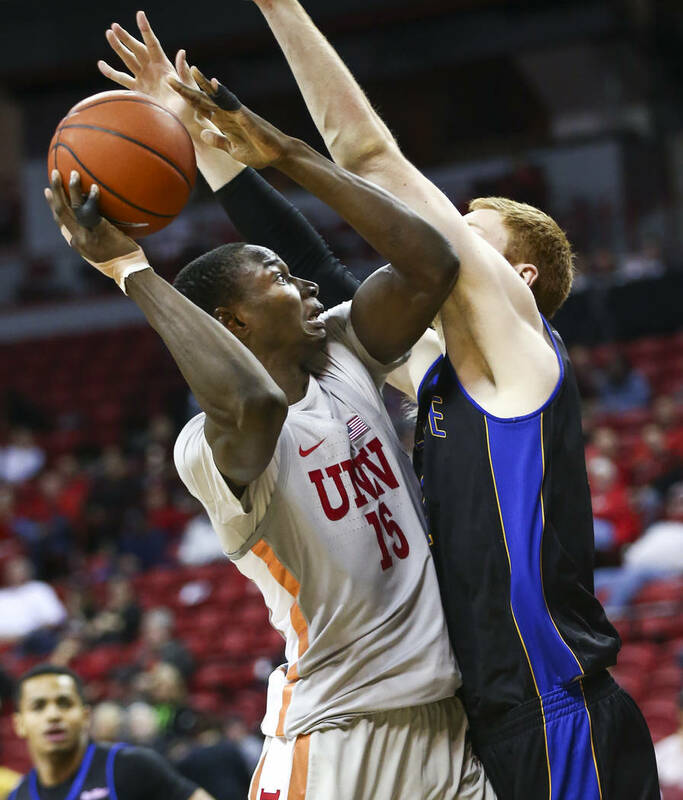 UNLV did what teams that can’t shoot it that well need to in order to win. That, and a freshman kept the ball hot. Shake the stink and move on. Rough as it was in parts.